Environment Minister Catherine McKenna has signed an agreement with Dehcho First Nations Grand Chief Gladys Norwegian creating the first Indigenous-protected national wildlife area in Canada. 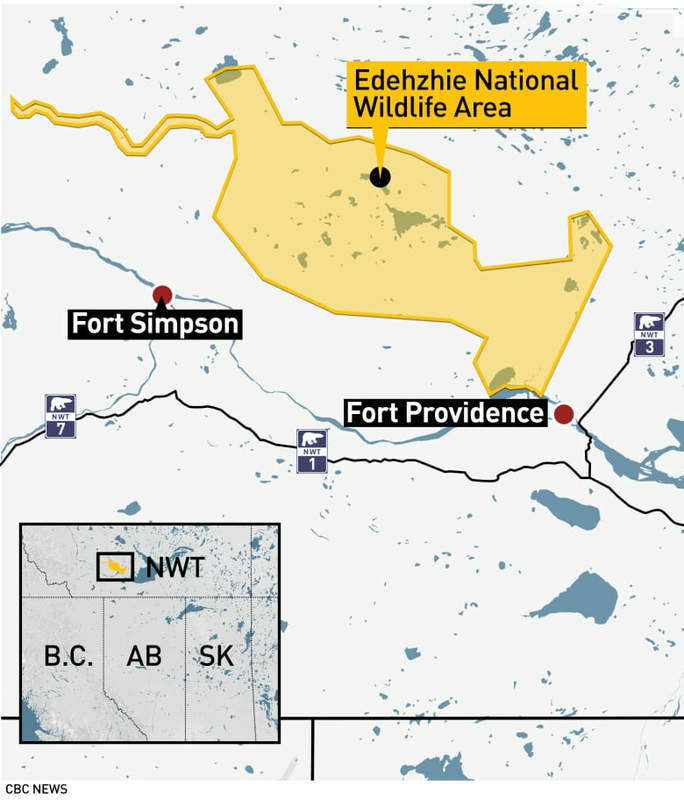 Environment Minister Catherine McKenna has signed an agreement with Dehcho First Nations Grand Chief Gladys Norwegian to officially protect the ​Edehzhie area, creating the first Indigenous-protected national wildlife area in Canada. Indigenous leaders from across the North gathered in Fort Providence, N.W.T., for the announcement. Edehzhie, a plateau that rises out of the Mackenzie Valley to the west of Great Slave Lake, covers 25,000 square kilometres of land. The area has been a spiritual gathering and hunting place in the Dehcho since time immemorial. 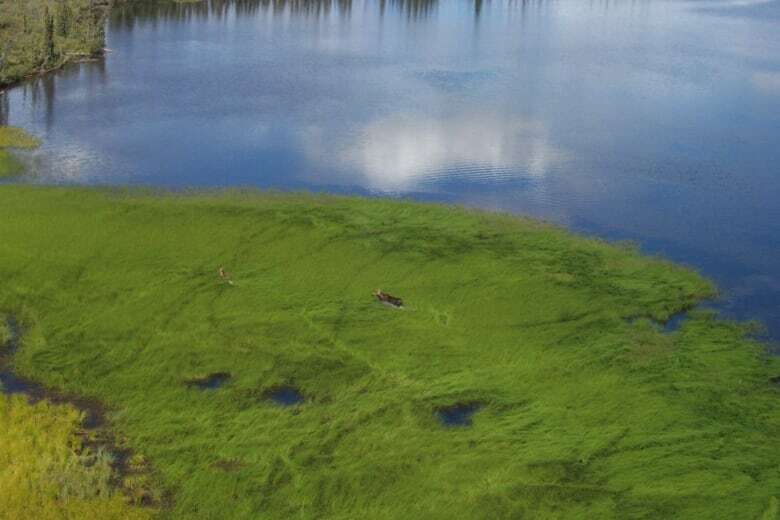 "Past leaders and elders have worked diligently to protect the Edehzhie so that it will be here for future generations," Dehcho First Nations Grand Chief Gladys Norwegian said Thursday. "The Dene have a special relationship with the land." She said when wildlife was scarce, historically the Dene have always relied on the Edehzhie area. "A protected area is an example of how the Dehcho would like to move forward with Canada," Norwegian said. Tlicho Grand Chief George Mackenzie echoed Norwegian's statements. "The creation of Edehzhie is an example of how we can work together as Indigenous governments to bring together our values and culture." McKenna, who was holding a bottle of water taken from a local lake, stressed the significance of the first Indigenous protected national wildlife area in the country. She said it took 20 years to get to this moment. "You should be extremely proud," McKenna told the room, which erupted in applause. "It's really amazing to be a part of this." She said the federal government is committed to reconciliation. "This is an example of how you can do things differently," she said. "We have to do more of this. This is an amazing story because climate change is real." Dene elder Jonas Antoine has previously referred to the area as the "breadbasket" of the Dehcho people. Now, after 16 years of negotiations, a portion of Edehzhie will be federally protected as a national wildlife area. In 2002, the Dehcho and Tlicho asked the federal government to prohibit any new development in the Edehzhie area. It agreed, but only until 2010. That year, against the wishes of the Dehcho people, the federal government opened up the mineral-rich subsurface of the Edehzhie to development. Indigenous leaders in the territory were outraged. In 2011, then Dehcho Grand Chief Sam Gargan told CBC News that any agreement that doesn't include the protection of what's below ground is "a mockery." The Dehcho took the federal government to court over the decision and won. 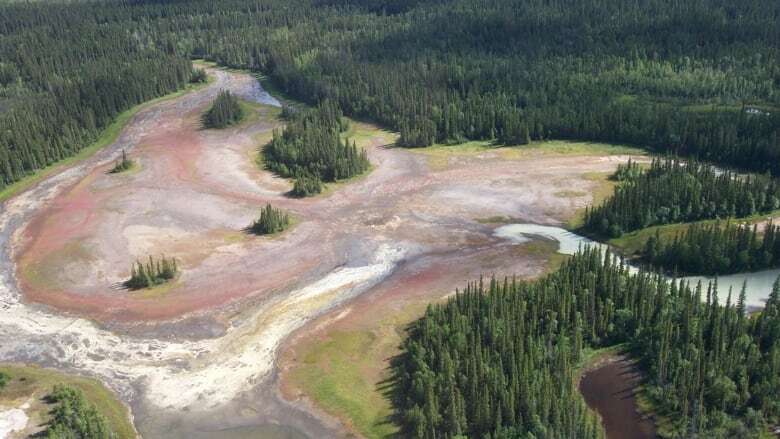 In the 2012 decision, a judge said the government's decision to terminate subsurface protection without consulting the Dehcho was "clearly questionable." In response, the federal government put forth a new plan. It saw the original 25,000-square-kilometre protected area cut in half, but the remaining 14,000 square kilometres would be given full surface and subsurface protection. Any areas containing large mineral deposits were taken out of the deal. Now, after years of back and forth, the Dehcho First Nations and the federal government have come to an agreement. An appointed Edehzhie management board.